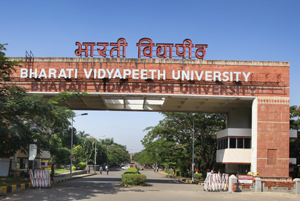 During the last 50 years or so, Bharati Vidyapeeth has made astonishing strides in the field of education, particularly in higher and professional education. At present, it conducts more than 184 educational units of various kinds, right from pre-primary schools to postgraduate institutions. They include 67 Colleges and Institutes of different disciplines. The academically conducive environment and excellent infrastructural facilities available in our campuses attract the students not only from various parts of India but also from abroad. At present, the University has enrollment of more than 1500 overseas students coming from 47 countries. For more details and information about BVUSDE, please fill up the inquiry form. You can also call us or whatsapp on +919029015284.